Syrian President Bashar al-Assad said U.S. forces in Syria were “invaders” and he had yet to see “anything concrete” emerge from U.S. President Donald Trump’s vow to prioritize the fight against Islamic State. Assad has said he saw promise in Trump’s statements emphasizing the battle against Islamic State in Syria, where U.S. policy under President Barack Obama had backed some of the rebels fighting Assad and shunned him as an illegitimate leader, reports Reuters. “We haven’t seen anything concrete yet regarding this rhetoric,” Assad said in an interview with Chinese TV station Phoenix. “We have hopes that this administration in the United States is going to implement what we have heard,” he said. The United States is leading a coalition against Islamic State in Iraq and Syria. In Syria, it is working with an alliance of Kurdish and Arab militias. Their current focus is to encircle and ultimately capture Raqqa – Islamic State’s base of operations in Syria. This week, the U.S.-led coalition announced that around 400 additional U.S. forces had deployed to Syria to help with the Raqqa campaign and to prevent any clash between Turkey and Washington-allied Syrian militias that Ankara sees as a threat. “We don’t think this is going to help”. Around 500 U.S. forces are already in Syria in support of the campaign against Islamic State. Assad said that “in theory” he still saw scope for cooperation with Trump, though practically nothing had happened in this regard. He dismissed the U.S.-backed military campaign against Islamic State in Syria as “only a few raids”, and said a more comprehensive approach was needed. The U.S.-led coalition is currently backing a campaign by its Syrian militia allies to encircle and ultimately capture Raqqa, Islamic State’s base of operations in Syria. Assad noted that the Russian-backed Syrian army was now “very close” to Raqqa city after advancing to the western banks of the Euphrates River this week – a rapid gain that has brought it to the frontier of areas held by the U.S.-backed forces. He said Raqqa was “a priority for us”, but indicated that there could also be a parallel army attack towards Deir al-Zor in the east, near the Iraqi border. Deir al-Zor province is almost completely controlled by Islamic State, also known as ISIS. The Deir al-Zor region had been “used by ISIS as a route for logistics support between ISIS in Iraq and ISIS in Syria, so whether you attack the stronghold or you attack the route that ISIS uses, it (has) the same result”, Assad said. With Russian and Iranian military support, Assad firmly has the upper hand in the war with rebels who have been trying to topple him with backing from states including Turkey, Saudi Arabia and the United States. U.N.-led peace talks in Geneva ended earlier this month with no breakthrough. Assad said he hadn’t expected anything from Geneva. He added that deals brokered locally with rebels were “the real political solutions” since the war began. The so-called local “reconciliation” agreements are the government’s preferred method for pacifying rebellious areas, and have often been concluded after years of government siege and bombardment. In some cases, the rebels have been given safe passage to the insurgent-dominated province of Idlib. The opposition says the agreements amount to forced displacement. 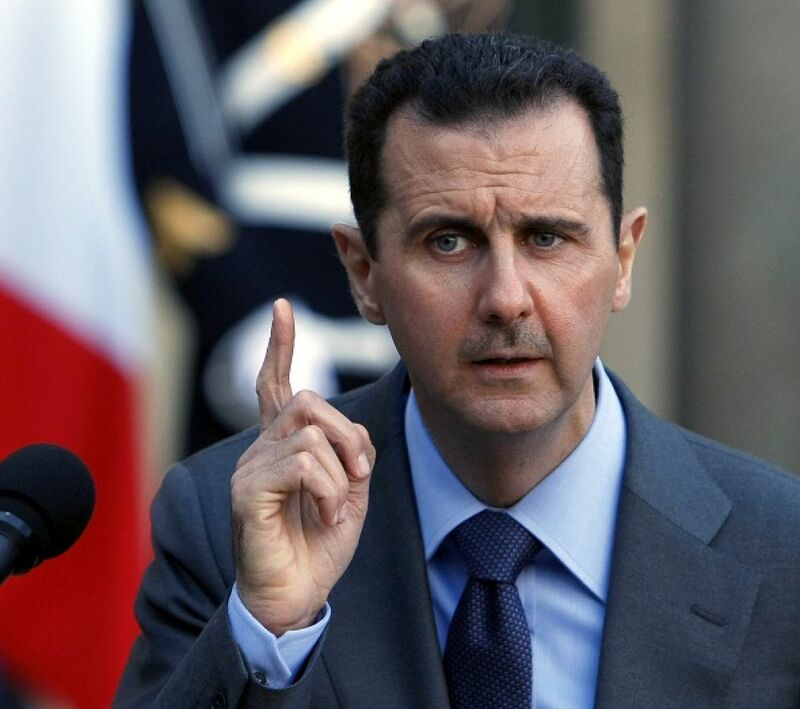 “We didn’t expect Geneva to produce anything, but it’s a step and it’s going to be a long way,” Assad said. He added that it would be up to Syrians to decide their future political system, and there would be a referendum on it.